This button has a nice look! 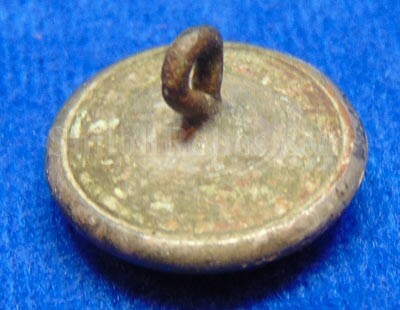 It is an original coat size infantry officer’s button. This is the silver washed version and it has a beautiful amount of the original silver wash remaining on the protected areas of the face. The silver has toned down to a dark gray color as you can see. This is the 2 –piece style that was worn by well-to-do infantry officers. 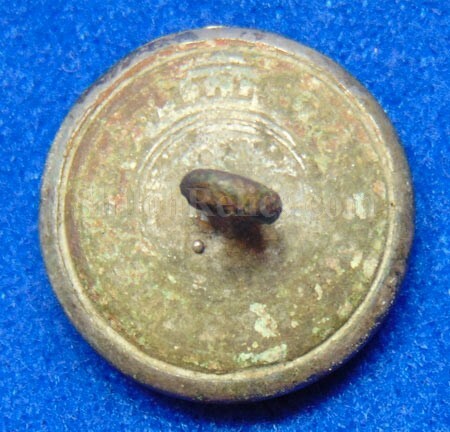 It has the remnants of the Scovill backmark remaining on the reverse. The original back and shank are present and in fine shape. 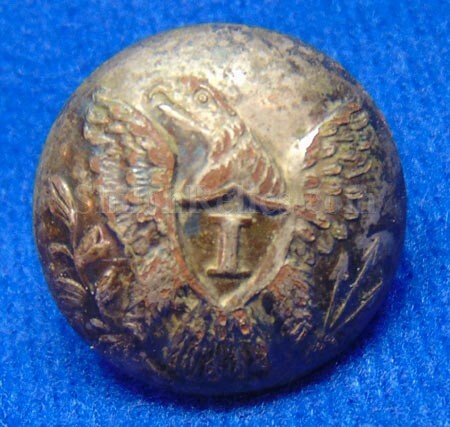 This is a nice excavated silvered infantry Eagle "I" pattern button.